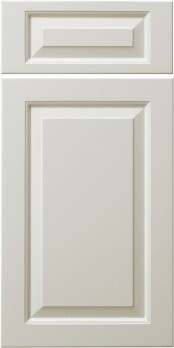 The 10SQ2 (MDF) door is similar in appearance to the 10SQ1 (MDF) door, but available with a matching drawer front. 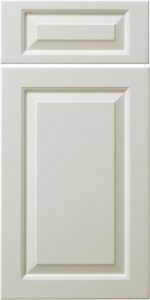 This one-piece, solid MDF (Medium Density Fiberboard) door gives the appearance of a wood traditional raised panel door and is a great selection for a painted kitchen. Frame only, mullions not available.